25 years of training as an artist and teacher has made me sensitive to and aware of arrangements and design. I am particularly passionate about oriental design elements. 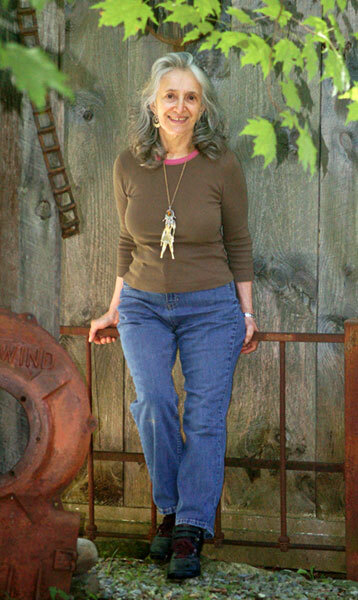 I think of my gardens and grounds as a laboratory for ideas and problems that I want to solve. It is also an excellent place for a client to visit and see my work... an organic portfolio! I have been developing my Moss and Sculpture Gardens over many years and the installation encompasses about an acre around the house and six acres on the other side of a stream along with a natural forest walk. 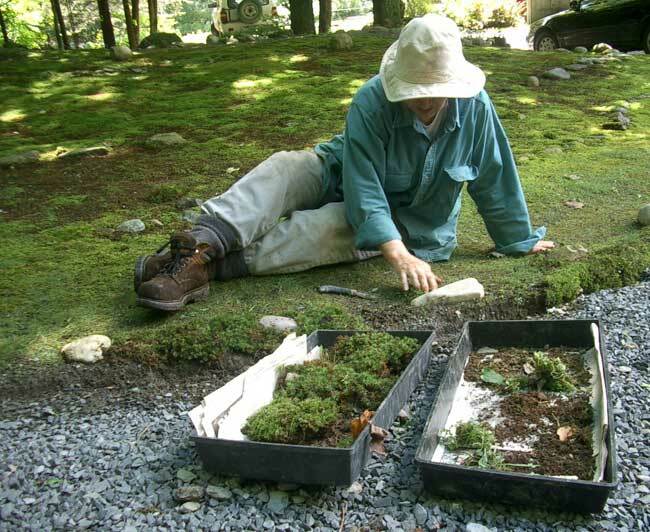 The larger moss areas include oriental style rocks and ferns as accents while the more intimate moss areas have small sculptures, tufts of wild grass, stones and sedum integrated into the environment. Large ferns, hostas, day lilies, ground cover and flowers are confined to more formal areas with larger metal sculpture. The walkways and trails around the moss and along the stream are made of different materials and lead to a meditation area. Some areas have large stepping stones with pea stones, smooth gravel or blue stones as fillers. Other areas have soil or brick, pebble, and tile mosaics. 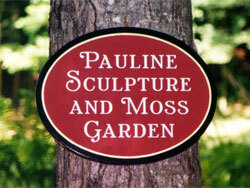 The Pauline Sculpture and Moss Garden provides a visual display of my ideas and will surely be an inspiration. Here I can show you the many examples of landscape designs that might work for you as well as many metal garden sculptures which abound throughout the property. If you cannot visit, I can meet with you at your home for a consultation. I specialize in intimate oriental style gardens and meditation areas. The earth is like a canvas that becomes a work of art. Big ideas in small spaces. It is my mission to discover and develop the natural beauty of a client's property. I can work alone or you can choose to be part of the ongoing work on the garden. I am also happy to teach you how to do follow-up work. Please call between May and November at 802-394-2411 and from December through April at 718-238-0876. We can arrange a meeting after a phone or email contact.